"The past teaches the present how to tackle the future"
Pondicherry has witnessed a long history during its existence. Its history can be divided into three sections namely ancient history, medieval history and modern history. It is said that Pondicherry was under the rule of the Pallava dynasty in its ancient period. During the medieval period, it was under the rule of the Cholas and the Pandyas. During the modern history, it was ruled by the Sultans of Bijapur but this place came into notice and became significant after the French colony was established. If one goes to Pondicherry, French architecture can be spotted in numerous spots. After the French, the place was also ruled by the Portuguese, Dutch, English and Danes who gave an altogether new social, political and economic history to this union territory. Pondicherry was always a region which had developed commercially before any of the other major cities or towns of India. Archaeologists say that history of Pondicherry is very rich and unique due to the several dynasties which have been a part of it. The region of Arikademu, which is situated at a distance of 7 km from Pondicherry, was said to be on good trading terms with the Romans ever since the 1st century. It was one of the best and growing trade centres of the country. Roman manuscripts talk about 'Poduca' as an emerging center for trade on the eastern coast of India and archaeologists believe that Poduca refers to Pondicherry. In the 4thcentury, Pondicherry was ruled by the Pallavas. Sanskrit University mentioned on the Bahur plates draw the academic background in the region during that time. Also, there are writings on the Vedhapuriswara Temple which indicate that Agastya, who was a very wise saint, set up an ashram in this region of Pondicherry. After this ancient history of Pondicherry, began the medieval period which saw the rise and fall of various kingdoms in the area. The medieval time of Pondicherry has seen a rise and fall of several rulers. South India, which included the region of Pondicherry, was ruled by the Pallavas during the period of 4th to 10th century. The Pallavas faced a lot of conflicts with the Pandyas and Cholas who also succeeded them in ruling Pondicherry. The Cholas were the first ones to rule the state during the medieval period. After the Cholas came the Pandyas who ruled the region starting from the thirteenth century till the fifteenth century. During this time, the territory also witnessed Muslim rulers who spread their powers from North to South India and set up Madurai as their administrative centre. After the Muslims came the Vijayanagar Empire which ruled the entire South India. They ruled till the seventeenth century after which this tradition was carried on by the Sultan of Bijapur. During the medieval period, with the change in the rulers and several upturns as well as downturns of several dynasties, the territory of Pondicherry witnessed a number of changes in its socio-economic conditions. Sultan of Bijapur taking over the rule marked the beginning of the modern history of Pondicherry. He started ruling after the Vijayanagar Empire came to an end in 1638. Foreign countries started to influence the territory right from the start of the 16th century. It has been an important port and has been an active participant of the marine activities for a really long time. After it was realized what kind of importance is played by the east coast of India, everybody starting from the Portuguese, Dutch, Danes till the English began to establish colonies in this region. By the increasing foreign influence, the economic, as well as commercial sector of the region, raised rapidly. Portuguese were the first ones to set up trading centres in the place followed by the Danes and the Dutch who set up trading centres in Poto Novo and Cuddalore. After the rulers of Gingee lost faith in the Portuguese, they invited the French to set up their colonies and begin their trade in Pondicherry. Churches, as well as forts, were established in Pondicherry and the architecture of the region grew rapidly. The modern history finally came to an end when Pondicherry became a union territory of India in 1954. Having discussed the three major periods, let us now venture into the details of the rulers who at some point of time ruled here and constitute a significant part of Pondicherry's history. Pondicherry came under the influence of the Cholas in the tenth century after they defeated the Pallavas. Their rule began from the city of Nellore till Pudukottai along the Coromandel Coast in the eastern part of India. King Aditya I was the ruler under whom the Cholas rose to power. There were constant conflicts between the Cholas and the Pandyas who were an emerging power in South India. Chola dynasty grew tremendously under King Rajaraja who ruled the region from 985 A.D to 1014 A.D. He conquered numerous empires during his reign. There were several battles fought between the Cholas and Chalukyas. The king lost his life in one of the battles fought in 1052. After Cholas came the Vijayanagar Dynasty in South India. However, the Pandyas took over the region of Pondicherry. The Cholas played a very important role in shaping the socio economic conditions of the medieval history of Pondicherry. The Pandyas took over the rule of Pondicherry in from the Cholas in the thirteenth century. The region was ruled by the Cholas from the ninth century to the thirteenth century. The study of Pandyas is important to the medieval history of Pondicherry. The Pandyas had their influence in the Deccan region of South India from the beginning of the seventh century. King Kandungori began the rule. There were conflicts between the Pandyas and Pallavas. In the eighth century, the Pallavas were defeated by the Pandyas. However, the Cholas took over Pondicherry and the Pandyas took over South India under the reign of Jalavarman Sundara Pandya in the thirteenth century. However, the kingdom started to decline due to the rule of the monarch. Under these internal problems, the Muslim rulers took the benefit and occupied the regions of South India. Pandyas became a part of the Vijayanagar Empire in the 16th century. However, with the rise of the empire of Vijayanagar, the rule of Pandyas ended. The French rule started in the 17th century after Bellanger who was a French officer established his residence in Danish Lodge which was a part of Pondicherry. The rulers of Gingee invited the French to set up trading units in the region. This invitation was also sent forward so as to increase the competition between the French and Dutch. Francois Martin was the first governor of Pondicherry in 1674. His constant efforts enhanced the region and helped it grow into an emerging trading centre. Pondicherry was occupied by the Dutch in 1693. But, after Holland and France came to an agreement, Pondicherry came under the influence of the French in 1699. There were a number of conflicts between the French and the English. The British occupied Pondicherry in 1760 after which the British army destroyed Pondicherry. A peace treaty was then signed between the English and the French in 1765 after which Pondicherry was returned to the French. The French gained supreme power over the region in 1816 but lasted till 1954 after Pondicherry became a union territory. The Portuguese were the first ones to get settled in Pondicherry. They set up a factory in the sixteenth century which was shut down after a century. The rulers of Gingee, who had initially asked them to set up trade in the region, lost faith in them which led to the evacuation of the Portuguese from the region. The Portuguese were followed by the Danes and the Dutch who set up trading centres in Porto Novo and Cuddalore. However, Portuguese, Danes and the Dutch were not able to prevail as long as the English and French in Pondicherry. The rulers of Gingee then invited the French to compete with the Dutch and set up their trade in the region. There were constant conflicts between the English and the French and the reign of the region moved between them till 1816 after which the French gained authority of Pondicherry until it became the union territory in 1954. Their presence played a very important role in giving shape to the modern history of Pondicherry and the flourishing commerce, trade, education and infrastructure in the region. The Pallavas of Kanchipuram had an influence on the region of Pondicherry in the fourth century. They had a powerful kingdom which spread over the entire region of South India and became a significant part of the history of Pondicherry. Most of the parts of Tamil Nadu were under the rule of the Pallavas under whom the region flourished tremendously in terms of its art, architecture, culture and economy. They first set up their capital in Kanchipuram. The Pallava kings established several temples in the Deccan region of India. Some important architectural features of the temples set up by these Pallava kings included pilasters, mandapas and moldings. Varadaraja Perumal Temple situated on M.G. Road of Pondicherry showcased the architecture which prevailed during that time. Gopuram of the temple also represented the style of the Pallavas. In addition to the architecture, the Pallavas of Kanchipuram also influenced the trade and commerce of the region. They administered the region for over two centuries. Vijayanagar Empire ruled the region of Pondicherry for nearly three centuries. The region witnessed a growth in the art and culture of the region under the rule of this empire situated on the south bank of the Tungabhadra River. Harihara and Bukka were the two brothers who founded the Hindu empire. The regions of South India including Mysore, Kanara, Pondicherry, Kanchivaram and Chingalpet were all occupied by the rulers of the Vijayanagar Empire. The empire flourished tremendously under the rule of King Krishnadev Raya who was an influential and powerful ruler. Under his rule, the Muslims lost their influence in the South. The rulers of the empire were fascinated by art and culture. Also, the region developed an inclination towards music, architecture and literature under their rule. Numerous temples were established during this period and the economy boosted to a great level after several coins were introduced in the region in 1638. 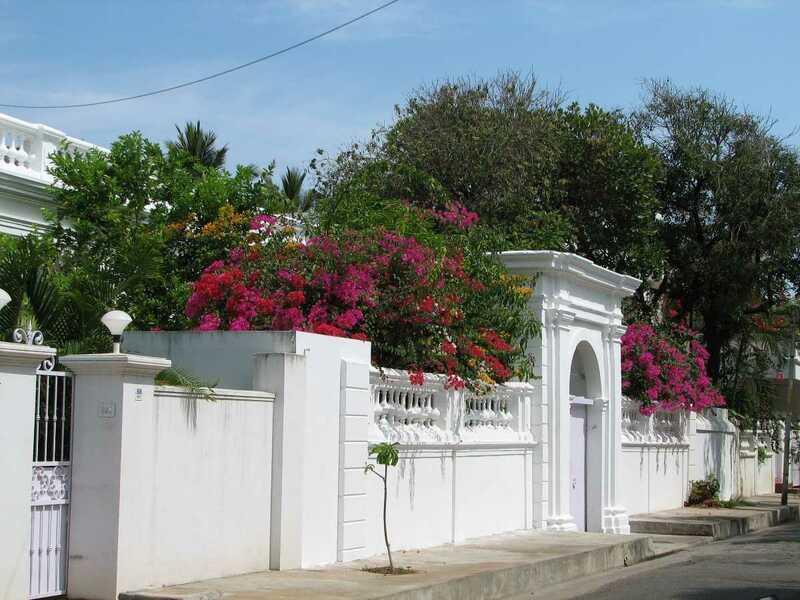 The empire plays a huge role in the glorious history of Pondicherry. After reading so much about the history of Pondicherry, we are pretty sure many of you would like to visit the place to witness the written facts in reality. Pondicherry is a beautiful and amazing place to explore, especially for those who love learning about new places, as this one is a delight and should definitely be added to the list. It is one of the very few places which has witnessed such diverse rulers. It will be an amazing experience to go visit the place and learn about it. So pack your bags, put on your inquisitive side and GO! Best Bachelor Party Destinations In India - For Your Party Fix Before Getting Hitched!